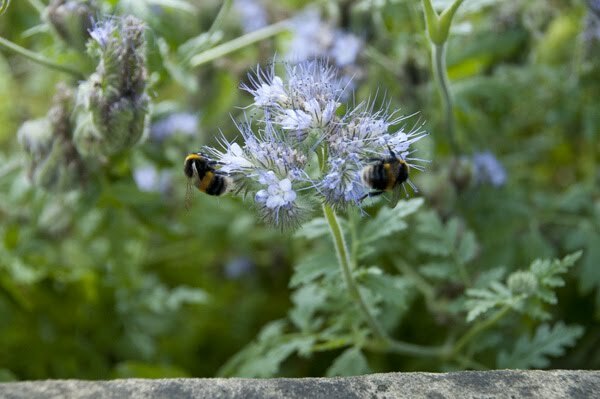 A small selection of photographs taken on Sunday 29th August 2010 at Norfolk Park, Sheffield. 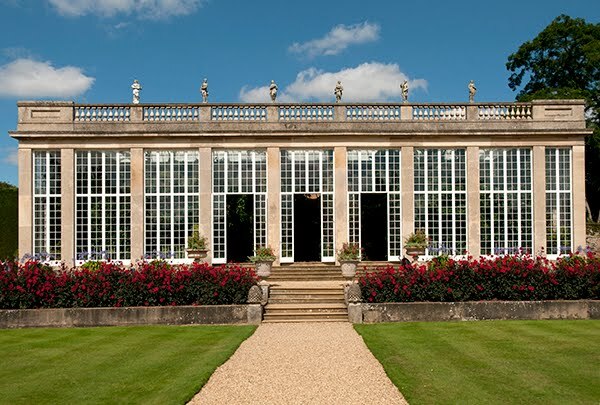 This living history event had Romans, juggling and squire training, medieval combat, dancing and singing, American Civil War soldiers, World War II soldiers and artillery through the ages. 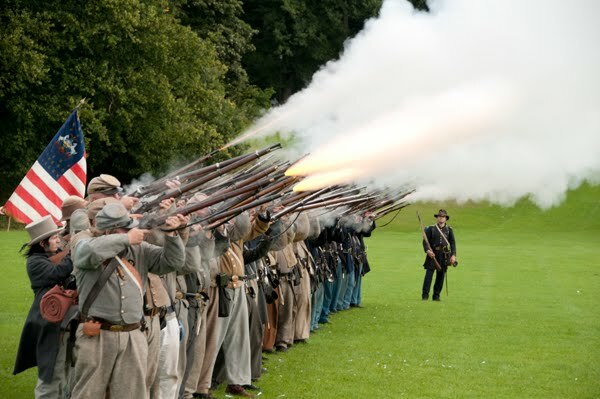 The Unionists firing off a volley. World War II half track, O playing dead in the background. 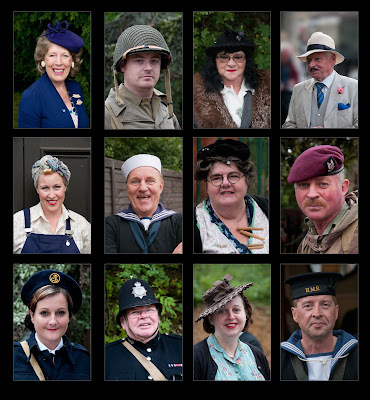 Four of the re-enactors from the day. 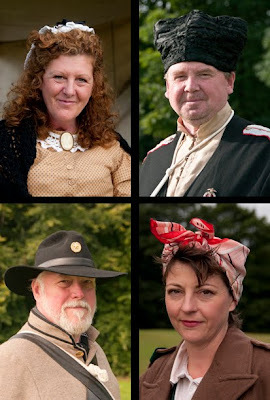 Top left the wife of a civil war soldier, top right a Cossack, bottom left a civil war soldier and bottom right a land army girl. 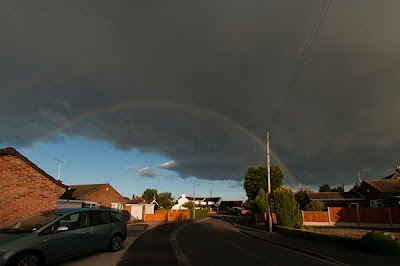 A rainbow taken just after 7:00am on Saturday 28th August 2010 in Weston on Trent. 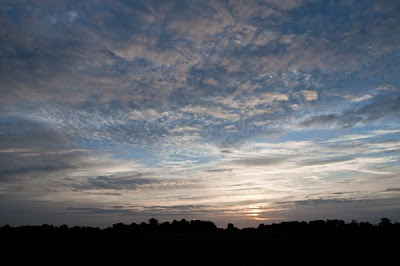 Taken using the Nikkor 10.5mm Fisheye lens and de-fished in Adobe Photoshop CS5. 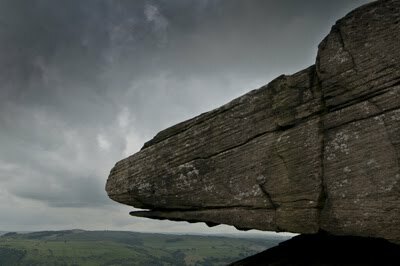 Spectacular rock formations too, looks to me like a giant lizard head at Curbar Edge. 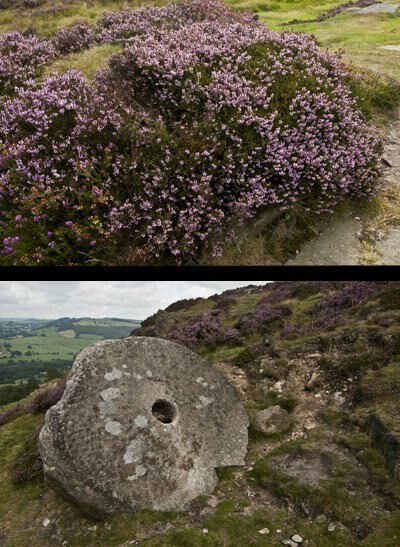 Heather and abandoned millstones a plenty at Curbar Edge. 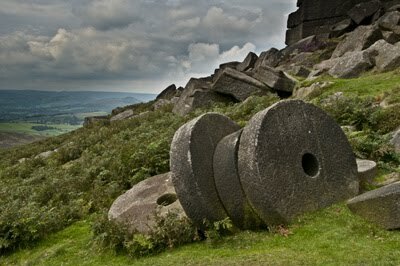 These millstones were shot at Stanage Edge Derbyshire. 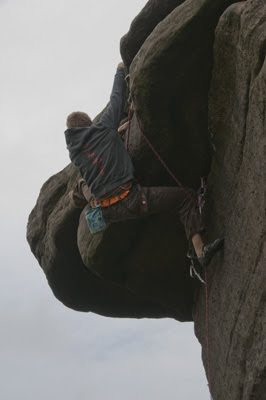 This shot was taken at Stanage Edge where the young climbers can practice in preparation for tougher challenges elsewhere. The love story continues. 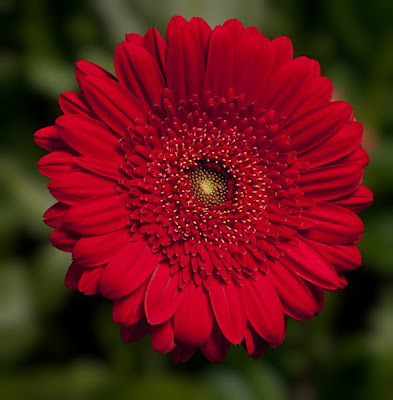 That is my love of the Gerbera. 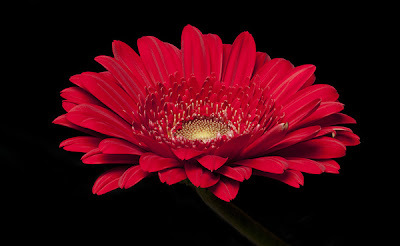 I have been experimenting with the Elinchrom studio lights and using differential focusing to get the whole Gerbera flower head sharp across its full width or diameter. 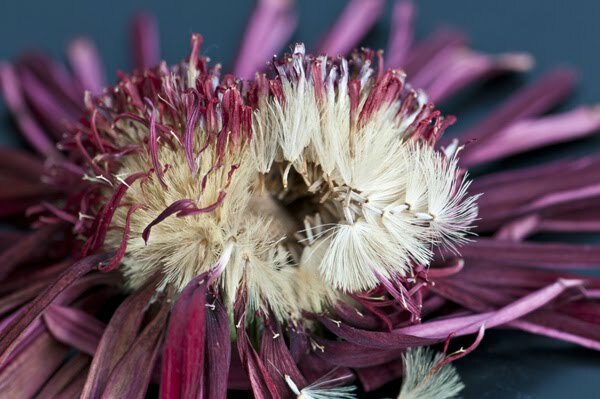 In these small photographs, reduced from the original size of 13" x 19", it is not possible to see the amount of detail contained in the flower head. 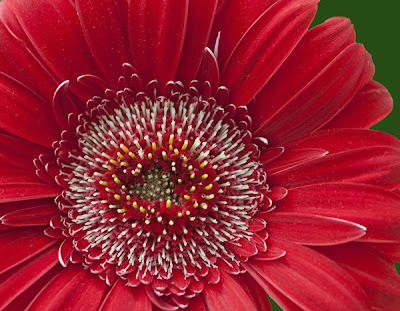 This image is composed of 10 shots blended to achieve sharp focus across the flower head. This one is blended from 7 shots. Used Alien Skin Bokeh to make the flower head stand out from its background. 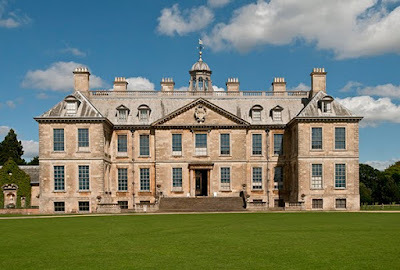 This Belton House a National Trust property near Grantham, visited on Sunday 22nd August 2010. The rather splendid Orangery which contains some exotic plants two of them shown below. This rather splendid Boathouse has been renovated and stabilised, as there was a danger of it falling into the lake. 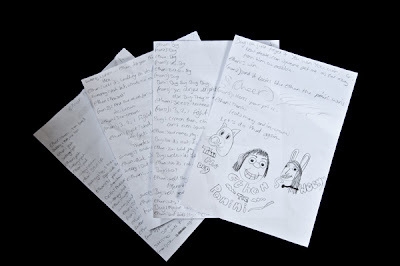 Ethan The Panini Gifted and Talented eldest grandchild A invaded my space recently and she decided to write a play, herewith are the four sheets written so far. It will be enacted some time in the future when we are all together again. A few more photographs taken at Snelston Hall on Monday 16th August 2010. 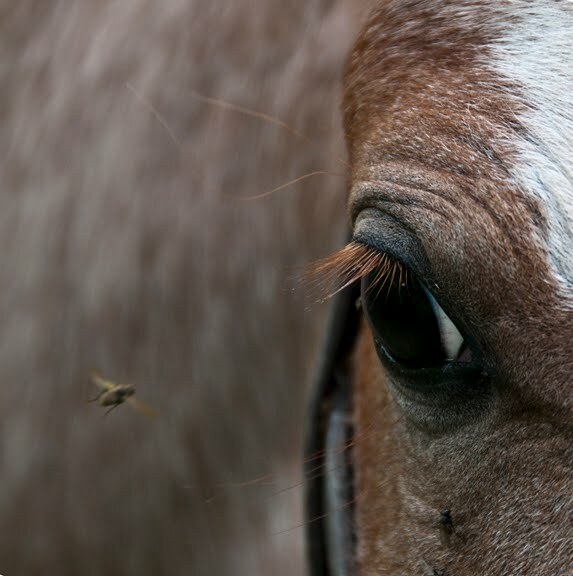 I'll call this one "Eye on the Fly" it was rather a fluke really to capture this, the mare was being very skittish and moving around almost constantly and being very protective of her foal, I was taking photographs almost constantly to get a shot of the eye. 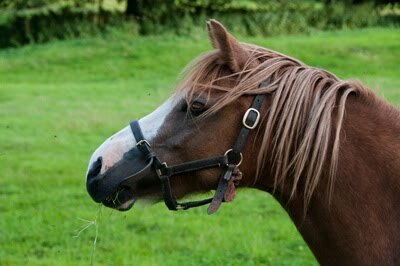 A nice side view of the mare, notice she is constantly being bombarded by flies, they are the black spots seen around her head. A collage of the mare and her foal. 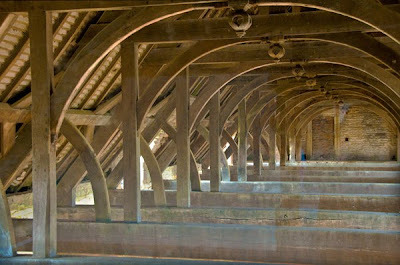 These are photographs taken during my visit to Snelston Hall on Monday 16th August 2010. 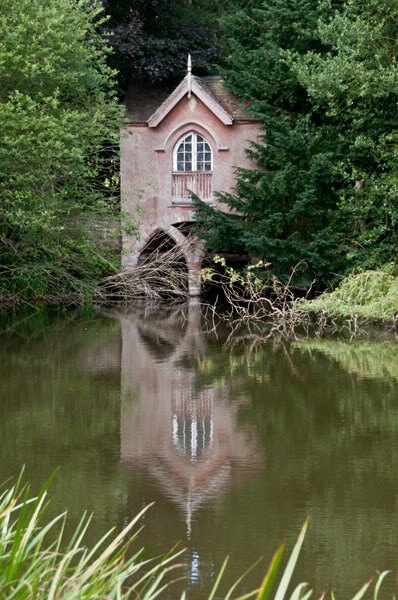 Snelston Hall and surrounding farm land were laid out in 1840 in a classic early Victorian manner with imported exotic species (Monkey Puzzle trees), hahas (fences concealed by landscaping) and the main house standing proud above the Lake. 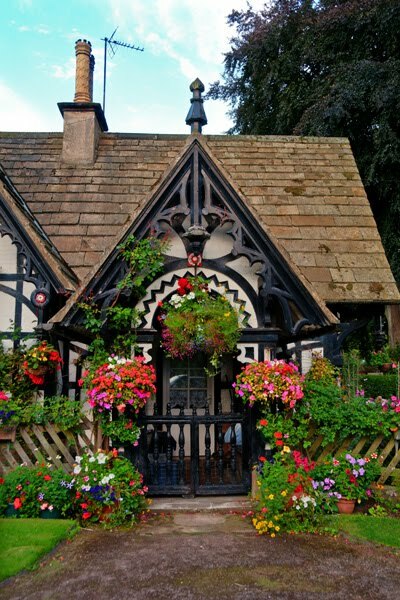 The original house built by Cottingham an early proponent of Victorian Gothic architecture, was pulled down in 1950 as it had no sub floor ventilation and was infested with dry rot throughout. The current Snelston Hall where Charles & Linda Jayne Stanton live was originally the Stables for the Hall, but his great Uncle sensibly moved quite a lot of the hall's fixtures and fittings from the original hall to the present house. The very pretty gatehouse at the entrance to Snelston Hall, this is an HDR image from Photomatix Pro, using a three shot bracketed series of images. 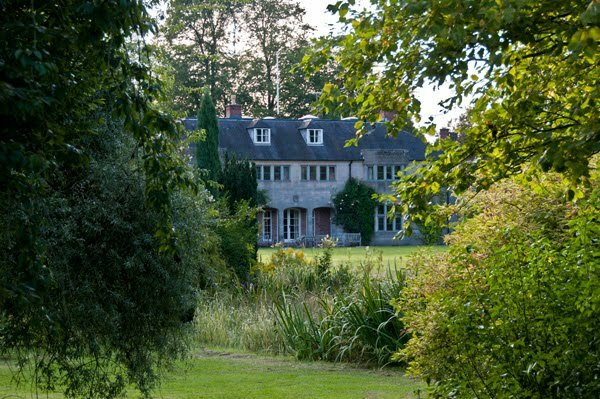 The hall, which was originally a stable block, seen through the lush growth of trees. 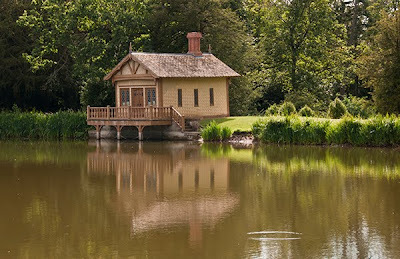 The boathouse which unfortunately has a fallen tree across its entrance. This is a sneak still life shot inside the house whilst the owner's wife entertained us to tea and biscuits. 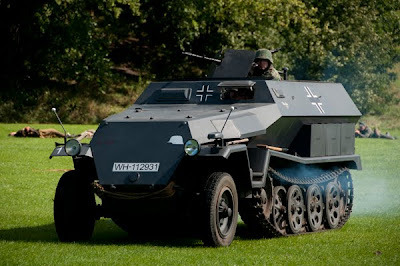 A visit to the 1940's weekend at Crich Tramway Village, Derbyshire on Saturday 14th August was certainly an eye opener for me. I have seen photographs from my son and Derby City Photographic Club members. I was very pleasantly surprised at the wealth of opportunities to take photographs of people to be in character as near as they can be. One of the gentlemen explained to me the lengths that he had gone to to ensure that what he was wearing was as near as he could get to what the servicemen wore when they were serving King and Country. Remarkably out of the several hundreds of "characters" at the event, there was only one person who refused my request to take their photograph. Although some of the people were local, I spoke to one gentleman, who was dressed in naval seamen's uniform, who said that he, his wife and friends had travelled to Derbyshire from north Kent to be at the event. The policeman arrested me and asked me to produce a receipt for my camera, as he had had a report that it had been stolen from one of the visitors. The photographs below are a small selection from over 400 photographs that I took on the day. 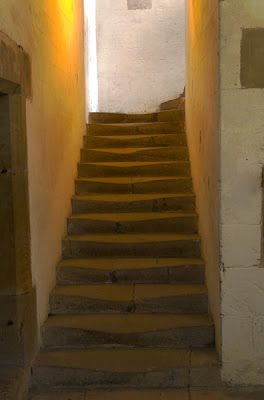 Here we are again with a few more photographs taken in Bolsover Castle, Derbyshire, website here. 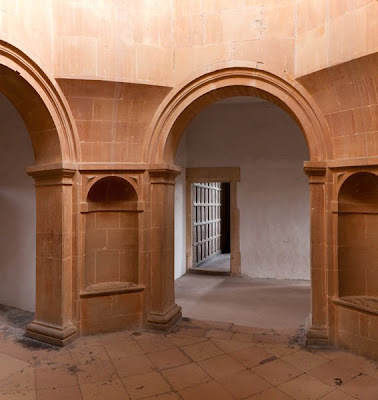 I was struck by the colours presented by these archways and the suggestion in the photograph to "Come Walk This Way" and discover more. 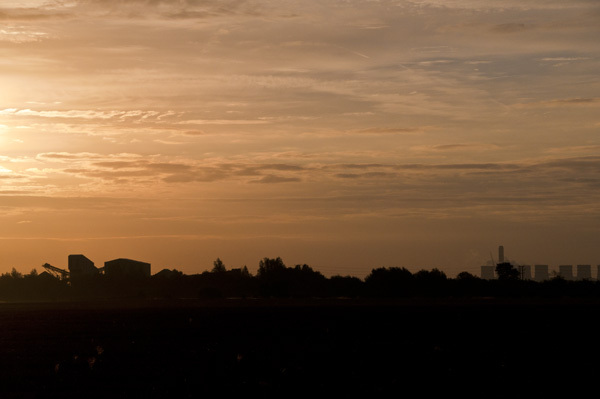 This image is created from a two shot panorama. 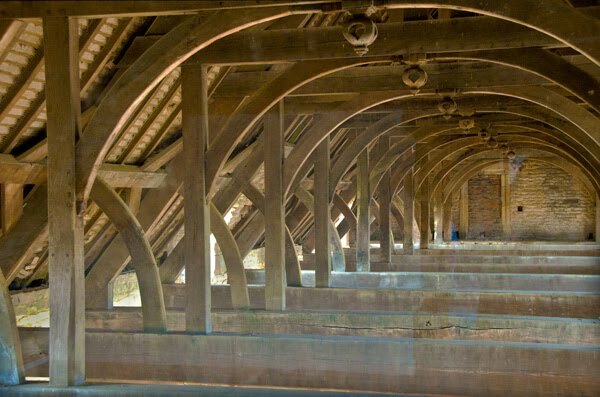 Fascinating to study the engineering behind this very old roof structure, if you are wondering what the blue patches are, they are reflections through a plexiglass window. 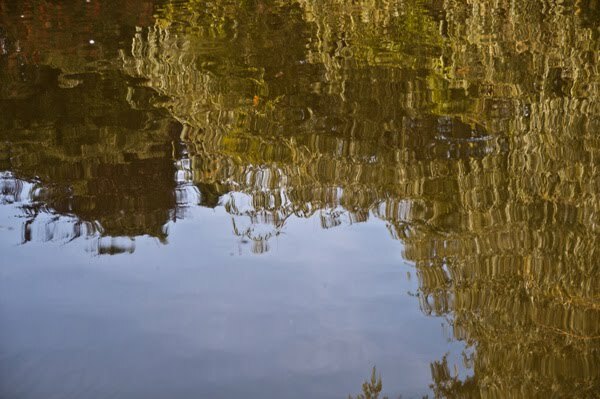 This is an HDR image, constructed from three bracketed exposures. 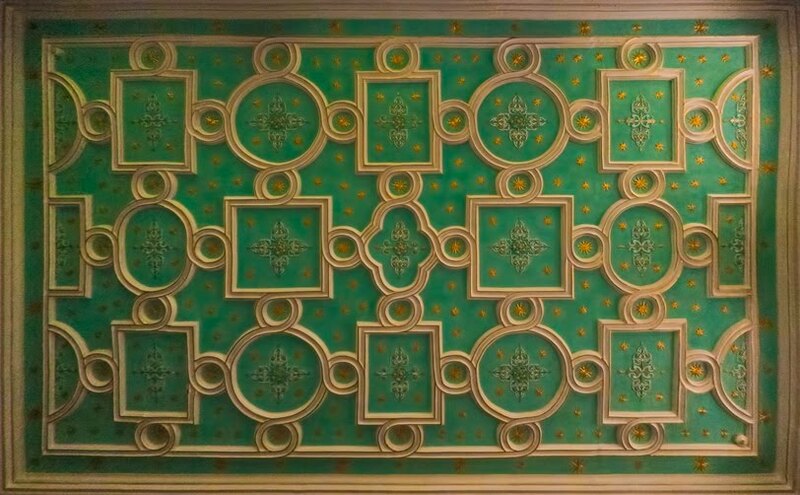 I was surprised and amazed to see these patterns on the sculpted rock on a doorway entrance in the riding school building. 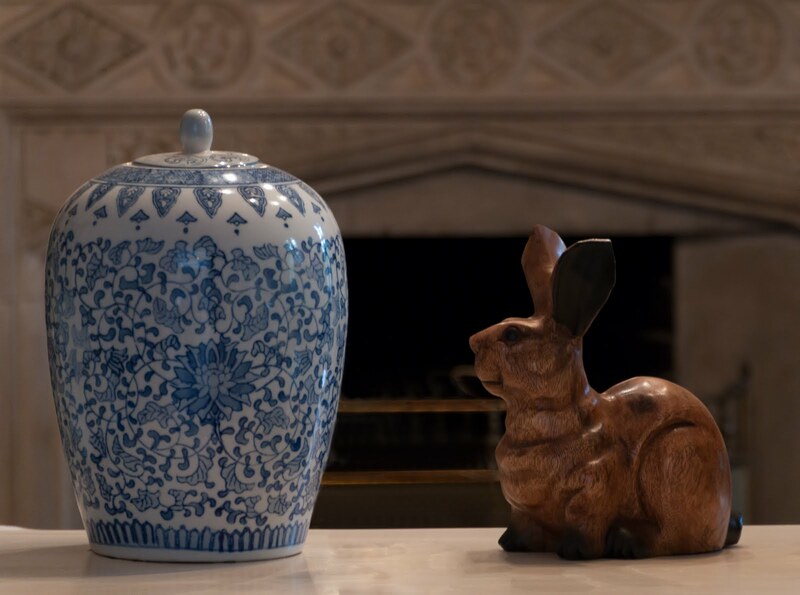 What are the patterns saying to you? Just look at the wear in the steps leading up to...somewhere in Bolsover Castle. Exterior view of part of Bolsover Castle, website here, an interesting visit on Wednesday 11th August 2010. 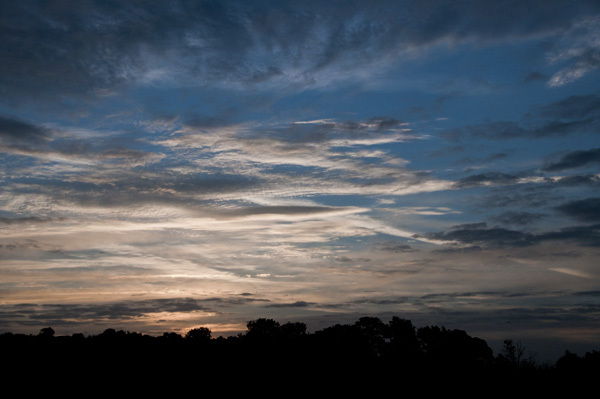 This is a six shot panorama, with this type of image there is bound to be some distortion. 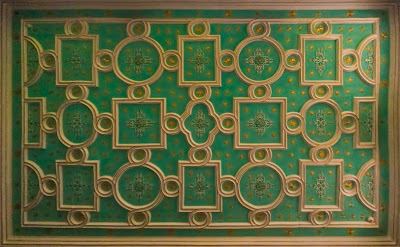 Wonderful ceiling in one of the rooms in the tower at Bolsover Castle slight distortion at the right hand side as this has been de-fished from a shot taken with my 10.5mm fish-eye lens. 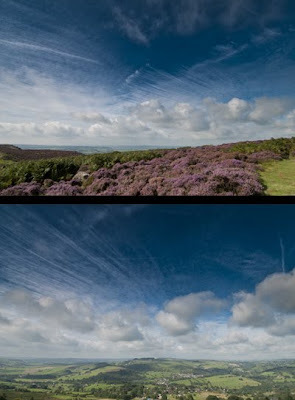 Neither Photoshop CS5 or DxO Pro made a perfect conversion. Perhaps need to try Fisheye Hemi. 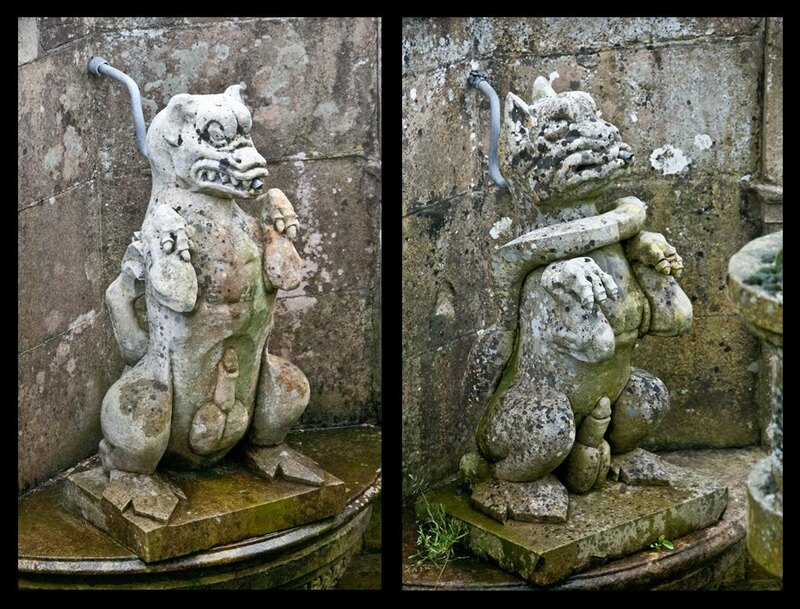 I was photographing these rather rude statues at Bolsover castle yesterday when I heard from my side "How rude Thompson" this from my 6 year old female companion. "Out of the mouths of babes (oft times come gems)." The Venus fountain is reputed to be the "rudest fountain" in the country. 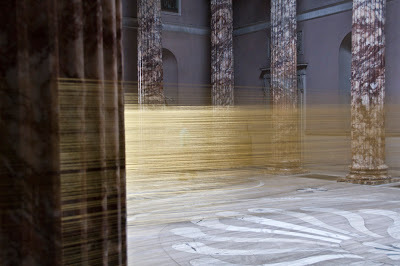 This photograph is from Promenade at Kedleston Hall, the work is intended to offer a space in which to contemplate time and the wandering threads through it - a site to make connections between the intertwining journeys of history, people and objects. 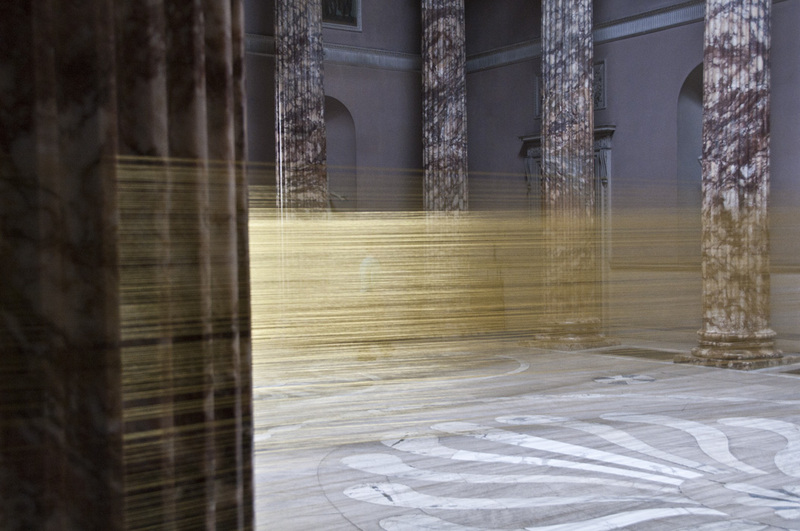 Composed of thousands of metres of gold thread wound between the alabaster pillars. 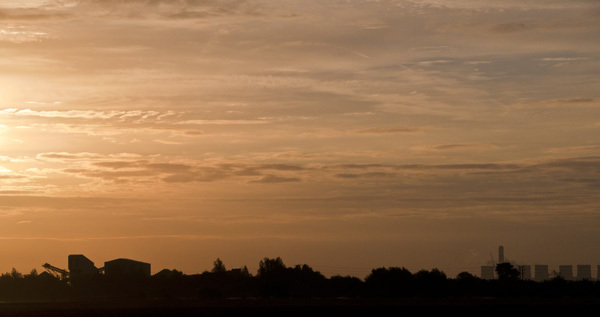 ‘Promenade’: 19th July – 29th September 2010, click here for more information. Four young ladies from Liverpool and St Helens, who were thoroughly enjoying their trip to the Delamere Forest on Saturday 7th August 2010, all had just come down the zip line from the forest canopy. 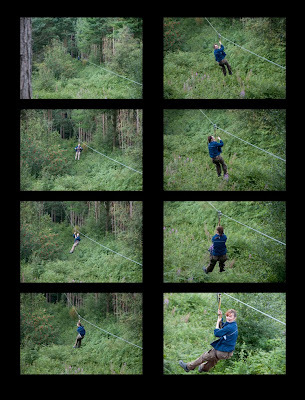 This sequence shows one of the young ladies descending the zip wire. 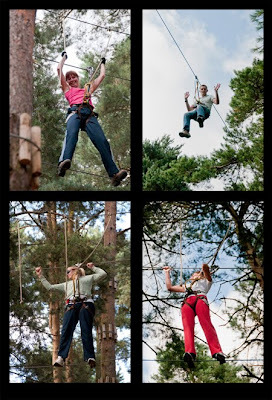 These photographs show young people on walkways, bridges and zip lines up in the forest canopy. 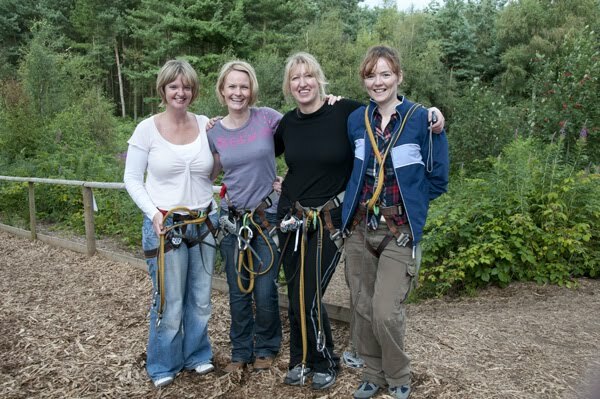 For more information about the "Go Ape" experience visit their website here. 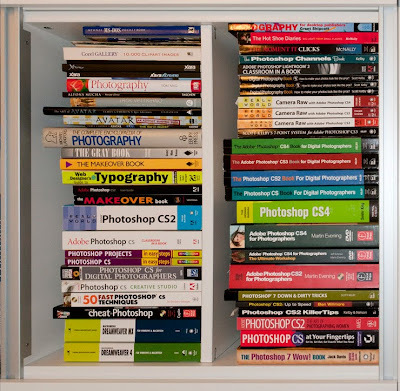 These are my books in the Ikea unit in my workroom, they chart my journey using my favourite photographic editing program Adobe Photoshop, I started using version 6 way back in 2000 then progressed by purchasing upgrades and I am now using version CS5 extended. 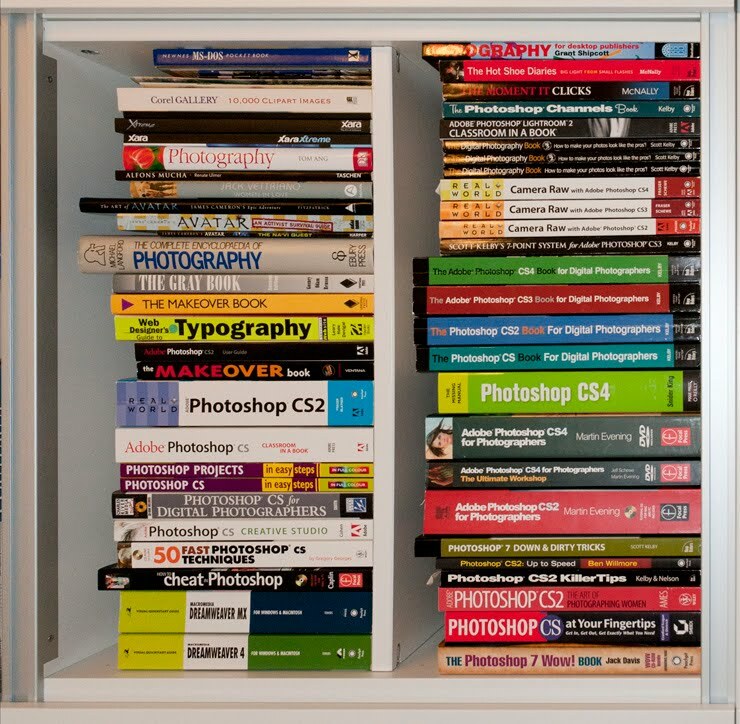 There are books there on Dreamweaver now superseded in my work-flow by Xara Designer Pro 6. I have provided two views of them so you don't creak your neck trying to read the titles. I am planning to dispose of some of the earlier books on Photoshop and I will probably offer them to my friends and colleagues at Derby City Photographic Club. Why dispose of them? Two simple reasons really, one I no longer look at them and two I need space for the three most recently purchased books i.e. 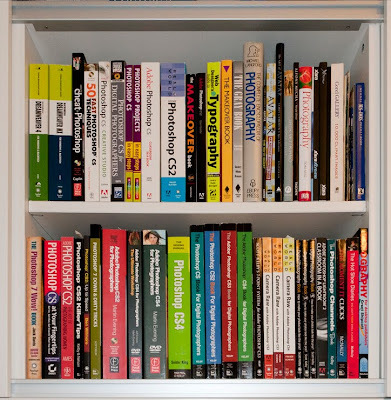 Lightroom 3, Photoshop CS5 and Image Sharpening. There resides there a favourite book, paintings by Jack Vetriano. You can see the advert "Snail's Enjoy Pork Scratchings". 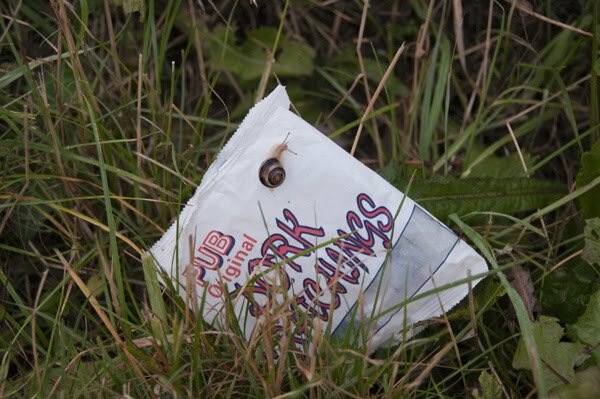 A carelessly discarded bag in the hedgerow seen on my walk on Friday 5th August 2010. Three photographs from my morning walk today, the topmost image was taken at 5:45am and the bottom one taken at 6:04, amazing changes in the light in those few minutes. Saw the black rabbit babies today, so black jack rabbit still lives on. My fascination with the Gerbera grows and grows. 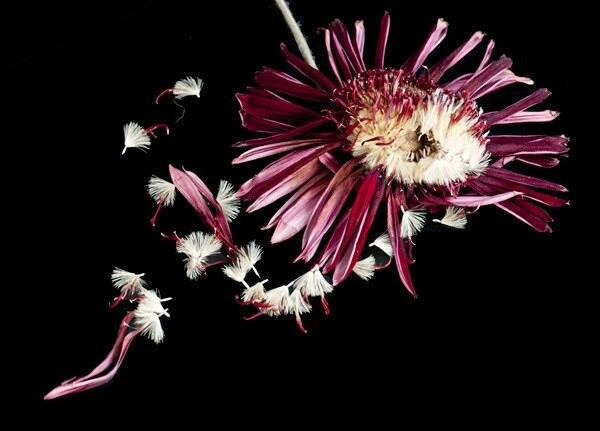 This series of photographs illustrates something that we wouldn't normally see with a Gerbera as a cut flower, that is the development from flower to seed head. Each individual seed is tipped with a crimson tip and has a parachute ball which will aid its flight to another location where it may germinate and grow. 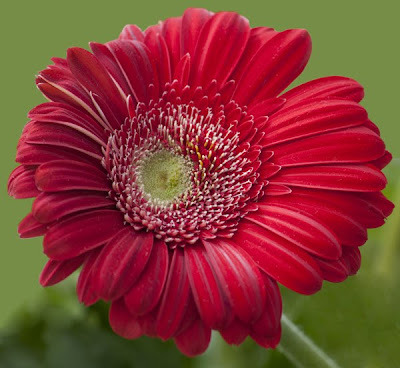 The Gerbera is also known as Transvaal Daisy or Barberton Daisy. Gerbera species bear a large capitulum with striking, two-lipped ray florets in yellow, orange, white, pink or red colours. The capitulum, which has the appearance of a single flower, is actually composed of hundreds of individual flowers. For those amongst you that watch the news program East Midlands Today and the weather forecast towards the end of that programme, you may have noticed this image as it was used as the backdrop for the forecaster Sally Pepper on Monday 2nd August 2010 at approximately 6:55 pm. It was taken by my grandson S. using my D300 when we visited the gardens at Chatsworth House.